This topic contains 0 replies, has 0 voices, and was last updated by gautamverma 7 months, 1 week ago. 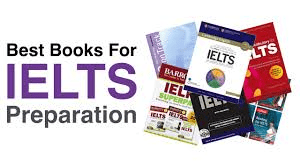 IDP IELTS- 13/09/2018 – 1PM IST, JALANDHAR, PUNJAB, INDIA. Nowadays, medical research projects are funded in order to improve medicine and treatment. To help producing effective medication in order to improve health and tackle with various diseases. In your opinion, do you think that research should be carried by private companies, individuals or government? Opinion :- according to my friends this was a challenging question as question type and suitable structure was not very clear. But I opted for 2 reasons ( agree or disagree ) structure to explain my opinion. There were two diagrams of a building with present day map and future plans for development. It was quiet easy to find out differences between the two building plans as the extension was carried out on the extra grass section on the east side of the building and certain rooms were dislocated with size differences in the future plan. However, cleverly in the diagram number 2 (future plan), two entrance gates were added (not so visible) . Luckily before summarising my 1st body para I noticed it. Listening :- Overall, was extremely simple and easy to understand, it took me less then a minute on average to grasp the whole section. There was a table completion which was easy too. The examination consisted of 15-18 multiple choice questions mostly in section 2 and 3. In this exam section 3 was much effortless as compared to 1st. Overall, a tough nut to crack, however I solved questions and directly wrote on my answer sheet in order to save time as most of the students were struggling in the very end and many of them got their answer sheets snatched by the invigilator. Passage 1: was on research and experiments conducted by several scientists to check, how studying overseas can be beneficial form a scientific perspective?